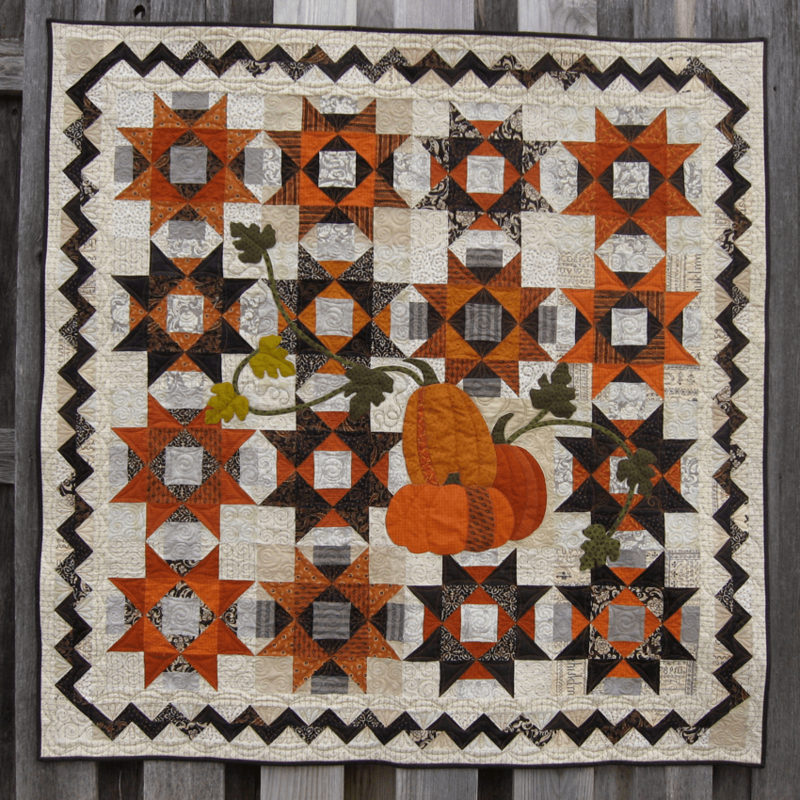 Eye Candy Quilts – Hello, Gourd-geous! It finally feels like fall here in Nebraska, so I can put this fun fall quilt out and shout Hello, Gourd-geous! Gourd-geous features fabrics from Renee Nanneman of Need’l Love, Jo Morton, and the Little Black Dress fabric line from Basic Grey. Fun pumpkins roll front and center, while winding vines twist their way through elegant Halloween stars. Finish it off with a playful pieced zig zag border, and you’ve got a timeless autumn classic.